You can sense that your baby is uncomfortable but not sure if it’s colic pain? Here are sure shot symptoms and signs which can tell that your baby maybe colic! A real, worrisome scenario with a thousand of worries peep into the mother’s brain with the slightest cry of her baby. A normal cry of stubbornness to get something would be different from a cry of bodily discomfort. Baby colic might be one of the reasons of distress. Take a quick look into the well-researched and examined baby colic symptoms, signs and basic home remedies. 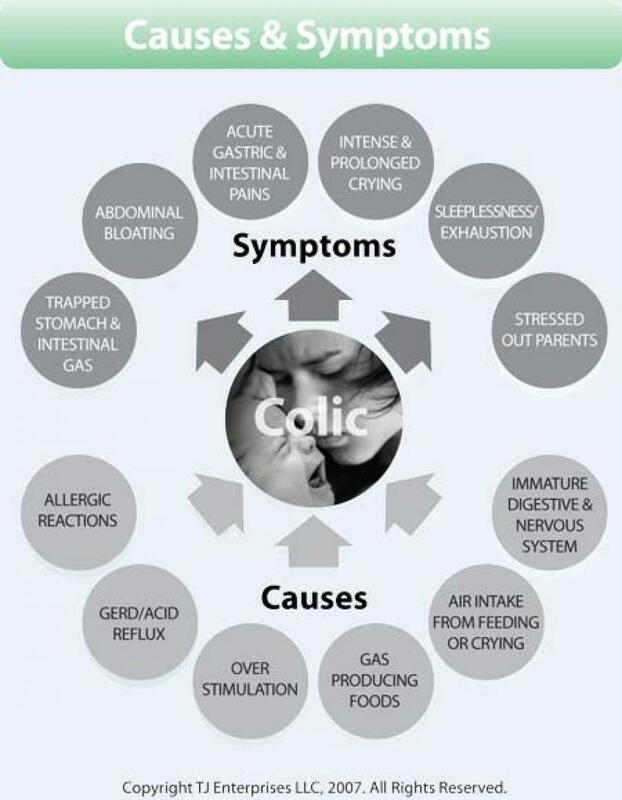 From 2 weeks infant, colic symptoms can occur. Any healthy and well-nourished baby, crying for more than three hours in the day or more for no obvious reasons, might have the colic problem. For some it goes off automatically in a few months, for others it needs medication. The baby colic symptoms usually begin and end abruptly without warning with intense crying episodes, mostly begins after meal times at the same time of the day and night. During this period, the baby behaves unusually arches back, pulls knees and chest, clenches fist and legs. A disrupted sleep pattern is clearly visible along with improper bowel movement or releasing of the gas. There are multiple reasons associated with the baby colic problem. Some of them are: immature digestive tract, food allergies, the unsuited food habits of the mother, hormones causing the stomach pain, mood swings of the baby, a developing nervous system, overfeeding, mothers associated with smoking or under the smoking zone, irregular heartbeat, injury to bones, muscles, or fingers etc. Check on the milk you are feeding the baby. Whether it is breast milk, cow’s milk or any formula milk. An allergy to milk might be the reason. Breastfeeding mothers must re-examine their diet. Closely examine whether the baby is releasing gas more than usual. The mothers must avoid smoking while breastfeeding. A gentle tummy rub or massage for the baby or rocking the baby is advisable. Hold the baby in an upright position for the release of air. Soothing music in the background would help the baby distract. A warm comfortable bath may do surprising wonders.